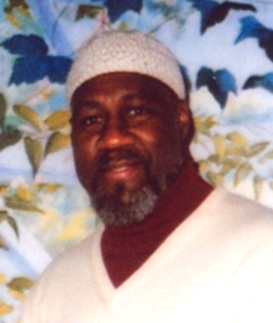 Jalil Muntaqim, one of the longest held political prisoners in the world today, has been in the SHU at Attica prison in upstate New York, since December 6th for teaching Black History — a course approved by the Attica prison administration. Jalil had been teaching Black History for almost 2 months, and had gotten up to the point in of teaching about the 1960’s, the anti-Vietnam War movement and the Black Panther Party. Supporters believe Jalil was written up because the authorities didn’t like what he was teaching, so he was placed in the SHU — isolation torture — with 5 charges. As you probably heard, I’ve been placed in SHU with a penalty of 8 months, suspending 4 months for 6 months, having to do 4 months. The charges were: 105.13 Gangs, 105.11 Unauthorized Addresses, 105.14 Unauthorized Organization, 104.11 Violent Conduct, 104.12 Demonstration. 1. Speak Politely; 2. Pay Fairly for What You Buy; 3. Return Everything You Borrow; 4. Pay for Everything You Damage; 5. Do Not Hit or Swear at People; 6. Do Not Damage the Property or Crops of the Poor Oppressed People/Masses; 7. Do Not Take Liberties with Women; 8. If We Take Captives, Do Not Ill Treat Them. This was presented discussing the ethics of the Panthers and how these Points of Attention engendered good relationships with the people in the community. I should have known they would ignore everything but Point 8. Also, I offered an analogy, comparing and contrasting the BPP with the Bloods, stating they need to get organized, get away from criminal behavior and tribal warfare. If they did they could be a large army for the people. I was asked how to make that possible, and I answered they need to get a universal newspaper together that they could collectively contribute to. They interpret this that I was trying to organize them. The Tier III hearing officer, Mr. Marche, dismissed the charge of 105.11 Unauthorized Addresses and 105.14 Unauthorized Organization, finding me guilty of 105.13 Gangs, 104.11 Violent Conduct, and 104.12 Demonstration. I’ve written to Prisoners Legal Services in Buffalo asking them to consider representing me on appeal. If they agree, I’ll still be sitting here for 60 days waiting for a decision. Jalil is the author of numerous poems and essays about Black liberation, life in prison, and the nature of the world we live in. Several of these were collected in the book Escaping the Prism … Fade to Black, published by Kersplebedeb in 2015 (available from leftwingbooks.net , AK Press , and Amazon).